Bangkok is by-far one our favorite cities in the world. When we get bitten by the travel-bug, my (Chrina) instinctive response is to say, “let’s go to Bangkok!” With the perfect combination of food, shopping and massages, what’s not to love? Here are are a few of our favorite spots in the bright and bustling city of Bangkok. Chatuchak is known as the market that has just about everything. It sits on 35acres of land and is home to over 8,000 stalls. It is a shopping paradise for merchandisers, wholesalers, hard-core shoppers, and tourists who want local shopping experience. I love that this market has everything from fashionable clothing to affordable houseware to local spices and paintings by fresh, young artists. You name it, Chatuchak’s got it! The market is open on Weekends (and most Fridays) from 6am-6pm. It is also accessible by BTS (Bangkok’s mass Transit System, also commonly referred to as the Skytrain). I would recommend going in the morning and giving yourself about 4hrs to see selected parts of this mini-shopping-village. Shopping Tip: Bring a few eco-bags that you can carry all of your shopping purchases in. Since most items are very affordable, it will only take a few minutes before you find yourself fumbling over multiple plastic bags. When you come across the stall that sells fresh coconut ice cream, do yourself a favor and treat yourself to a scoop or two! It’s just the refreshment you need on warm Bangkok day. Our favorite place to eat within Chatuchak is called Toh Phlue. We usually order the Crispy Catfish Salad and Red Seafood Curry cooked and served in a coconut! Yum! The House of Jim Thompson is great for those who come to Bangkok primarily for the shopping but want to justify their trip by sneaking in a little art or culture. Let’s be honest, most ladies come to shop till they drop and don’t want to spend an entire day out touring the typical tourist attractions. The House of Jim Thompson is located in the city, close to many of the shopping malls. Jim Thompson was an American architect who fell in love with Thailand and settled there in the 1940’s. He has a beautifully designed home that he constructed by connecting several traditional thai homes and adapting much of it to his liking. It is an architectural masterpiece and full of quirky innovations and cultural references. 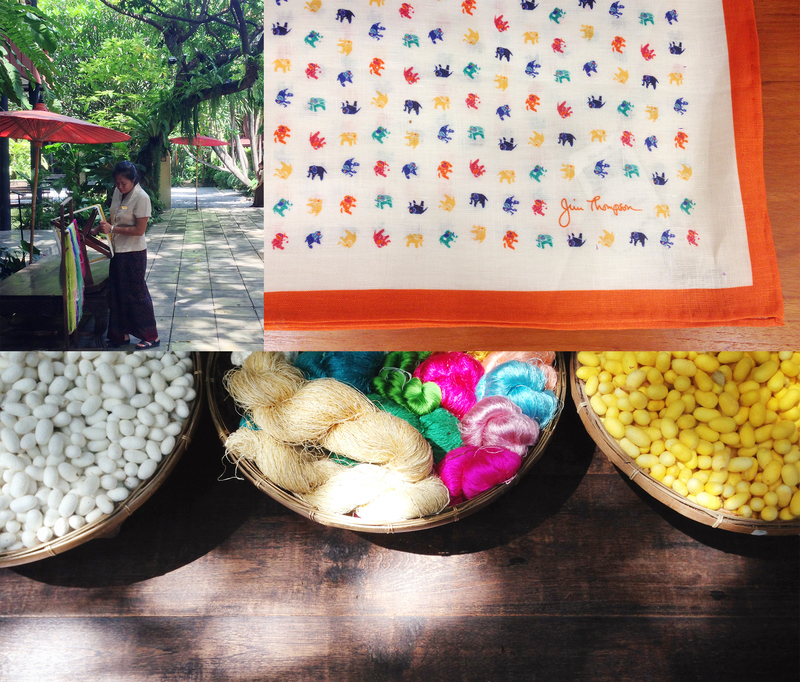 Today, Jim Thompson is well-known across the globe for his success in rebuilding the silk industry and for creating a demand for Thai Silk in the global textile industry. His silk prints are turned into clothing, scarves, ties, bags, throw pillows, and table runners that can now be found in high-end stores all over the world. Nara is arguably my favorite restaurant in all of Asia and is usually my first stop when we land in Bangkok. We make it a point to eat there at least twice in a trip, but I’ll admit that are a few times that we would in find ourselves eating there daily. When I first took Jon to Bangkok we ate there 4 times in 3 days. Yes, it really is that good. What I love most about Thai cuisine is the perfect fusions of sweet, salty, sour, and spicy. Somehow Nara does it with all their dishes in a way that is refined and extremely delicious. There is nothing we have ever ordered at Nara and not enjoyed. Everything on the menu is so full of flavor. However, if I had to recommend just one thing, my top must-try dish would be the Tamarind Soft Shell Crab. You will be dreaming about it long after you’ve left the city. There are several Nara branches across Bangkok. They are listed on their website ( www.naracuisine.com ) but my favorite ones are Central Embassy for the ambiance and Erawan since it’s the least crowded. We ordered the Pad Thai Fusilli and Spicy Green Mango Steak in Tom Yum Sauce and LOVED it. Dining at this restaurant was such an experience and I would highly recommend it if you’d like to try authentic thai food with fun twist. Bangkok is well-known for their traditional thai massages and foot reflexology treatments. You will find that the city is a haven for massage-lovers and you’ll come across little spas just about anywhere and at a wide range of price points. Although there are plenty to chose from, my family and I always find ourselves back at Ai Sa Waan located in the Chidlom area, just below the BTS Skytrain station. This particular spa is definitely not the cheapest (approx 500 THB for a 1.5 hr foot reflexology treatment) but it’s open late (till midnight), clean, and we have never been disappointed. I’ve been going there over the last 7 years and I’ve always left feeling very relaxed and ready for a good night’s sleep but also recharged for another day of shopping! I’m convinced that after a full day of shopping and walking, a foot massage is the finest way to end the day! Healthland is part of a large spa chain across Bangkok. It was recommended by a good Filipina friend of mine who had lived in BKK for a few years before moving to Singapore. I had a great experience but let me warn you not to even bother going without a booking. We had a our hotel concierge make a booking and we lost our slot because we were 15mins late. It’s a very popular spot and seems to be well recommended to tourists. 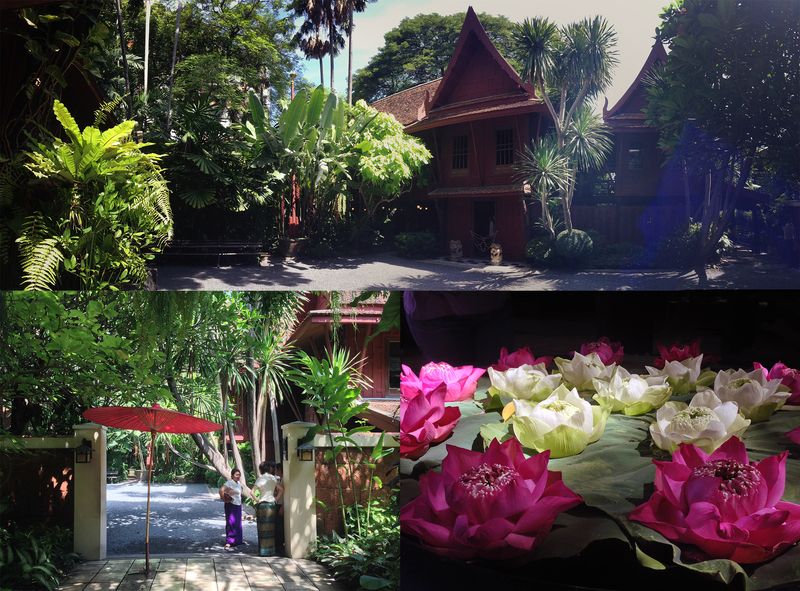 I recommend this spot if you want a full spa experience and a little bit more than a traditional thai massage. I tried their Thai Herbal Compress massage and loved it! Bangkok is the city we just can’t get enough of. Hmmmm… I wonder when would be a good time to go again?